In this week's blog we are recognising International Day of Women and Girls in Science by taking a look at the life of Scotland's first practicing female surgeon, Gertrude Herzfeld. The upcoming International Day of Women and Girls in Science on 11th February 2018 is a chance to promote the globally recognised goals to achieve full science and gender equality. A persistent gender gap underrepresents the participation of women and girls in education, training and employment in areas of science, technology and engineering. 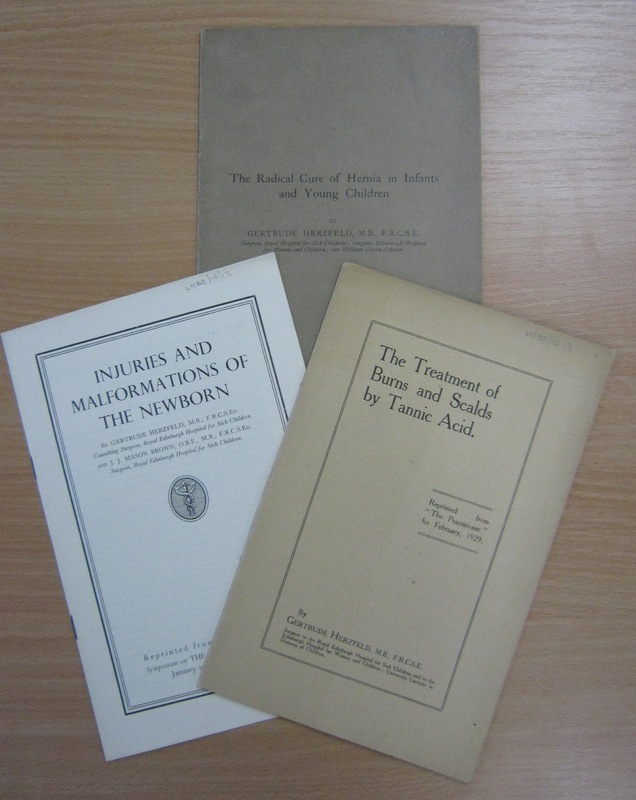 Here at LHSA we can find many examples amongst our collections of extraordinary women who fought many barriers and prejudices of history to make their mark in the field of science and medicine. One of our more unsung heroines Gertrude Herzfeld (1890 – 1981) is a perfect example of this and will represent our recognition of International day of Woman and Girls in Science. Celebrating Herzfeld, although a figure of history, is inspirational to the fight that still exists to empower women and girls to achieve full and equal access to participate in science. Herzfeld, born in London in 1890 to Austrian parents, first made her mark in studying medicine at the University of Edinburgh, graduating in 1914. 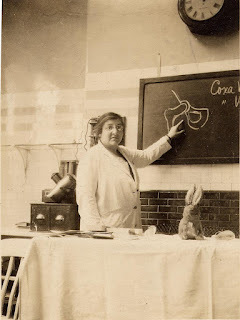 Although early in life Herzfeld had aspirations of being a doctor, being a woman at this time was strongly against a career choice in medicine. Least of all, women had to attended separate lectures from men at university and at the University of Edinburgh the Faculty of Medicine did not admit women on an entirely equal footing to men until 1916. Nevertheless, from here she based much of her career in Edinburgh and is most famously known for being the first practicing female surgeon in Scotland. She was appointed as surgeon at the Royal Edinburgh hospital for Sick Children (together with LHSA favourite Norman Dott) and the Chalmers Hospital in 1925. Eventually she also took on the role of surgeon at Edinburgh Orthopaedic clinic (1925-1955) and at Bruntsfield hospital for Women and Children. Herzfeld was the first female practicing surgeon to become a Fellow of the Royal College of Surgeons of Edinburgh, taking her seat in 1920. Over the next twenty to thirty years Herzfeld practiced and developed a wide range of procedures in paediatric and gynaecological surgery, becoming a specialist in abdominal, neonatal, orthopaedic and plastic surgery as well as the treatments of burns and trauma. 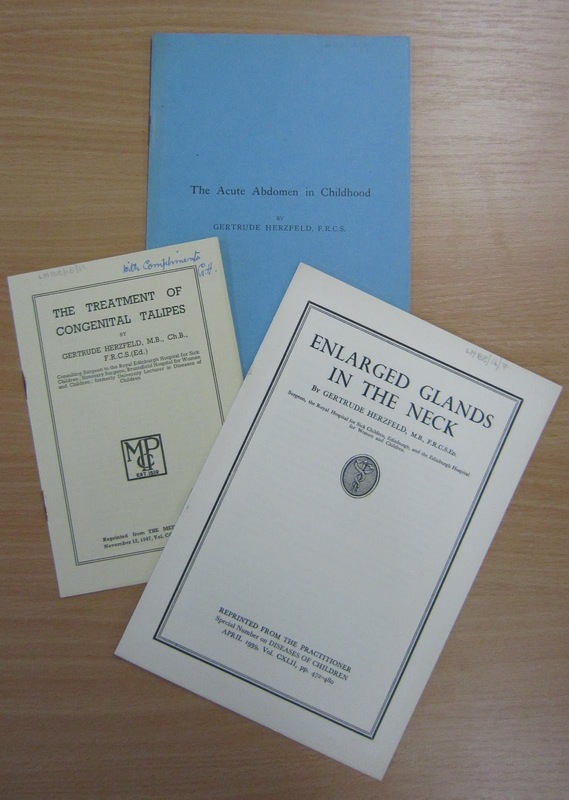 Aside from her surgical practice she gain accolade in her teaching and publishing, lecturing on childhood surgery at the University of Edinburgh and at the Edinburgh School of Chiropody, of which she was also a founding member. Throughout this time she was also medical advisor to the Edinburgh Cripple Aid Society and Trefoil School for Physically Handicapped Children. In later life Herzfeld chaired the Edinburgh City branch of the British Medical Association and was the National President of the Medical Women’s Federation between 1948-1950. Aside from these achievements and contributions to her field (but what also probably underwrote many of her great accomplishments in life) it seems Herzfeld was full of warmth and wisdom. It was noted that she showed real compassion to her patients and colleagues, in return she was affectionately nicknamed ‘Gertie’. One contemporary described her as, “Large in heart and in mind”. As a highly skilled surgeon she was known to have performed the ‘Stiles’ Procedure’ to treat infants with inguinal hernia six times in fifty minuets! But even more than her professional brilliance she greatly respected her patients as individuals, getting to know their own social and psychological circumstances. Herzfeld reflected on this, "Orthopaedic surgery in the young child should really be linked with the general care of the child". Through her practice and teaching Herzfeld was a great promoter of women in medicine and continued to support their fight against the barriers and challenges she faced in her own career. Herzfeld died aged 90 in Edinburgh in 1981. Her legacy paved the way for female surgeons in Scotland and she is remembered as an inspirational woman of medicine and science. Herzfeld’s portrait is hung at the Royal College of Surgeons in Edinburgh and her name is in the bank for Edinburgh City Council to use as a future street name – so there is potential for a little lasting tribute. University of Edinburgh. 2016. Alumni in History. [ONLINE] Available at: https://www.ed.ac.uk/alumni/services/notable-alumni/alumni-in-history/gertrude-herzfeld. [Accessed 5 February 2018]. Macintyre, I and MacLaren, I (Eds.). Surgeons’ Lives (2005). Pg. 198. Herzfeld, G. (1949). Twenty-Five Years of Paediatric Surgery - A Retrospect. [Publication] Lothian Health Services Archive, Bruntsfield Hospital. Edinburgh.